Ladies in Wales are being encouraged to get behind Clynderwen and Cardiganshire Farmers Ltd (CCF) and go pink for charity throughout the month of June. CCF wants to support ‘Race for Life’ to raise money for Cancer Research UK and has decided to team up with performance footwear brand, Grub’s, to run a promotion on the pink Rainline boots. 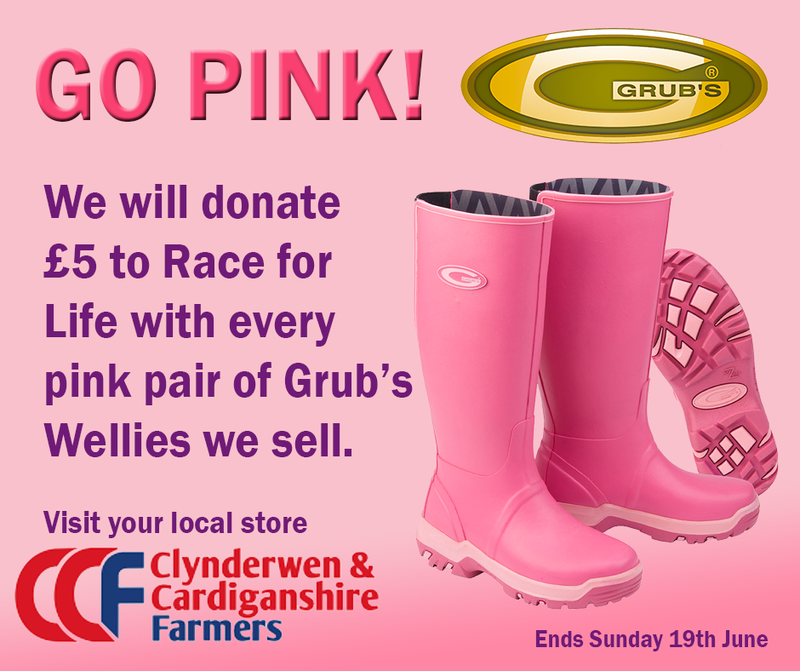 The store will be giving customers the chance to support Cancer Research UK with £5.00 from the sale of every pair of Grub’s pink Rainline boots sold donated to the charity. Said David Adams of CCF: “We are keen to support ‘Race for Life’ as much as possible, Glesni Phillips from head office is running the race so we wanted to help. My young daughters are also keen to run the race next year when they are old enough. The Grub’s brand has been developed with over eight generations of family history and tradition in design and production of performance footwear. With advanced materials and the latest innovative technology Grub’s offer a new level of performance to aid their mission in creating the best footwear available. The Rainline boots combine Grub’s unique Superdri™ technology in a lightweight easy clean rubber boot ideal for wearing all year round. 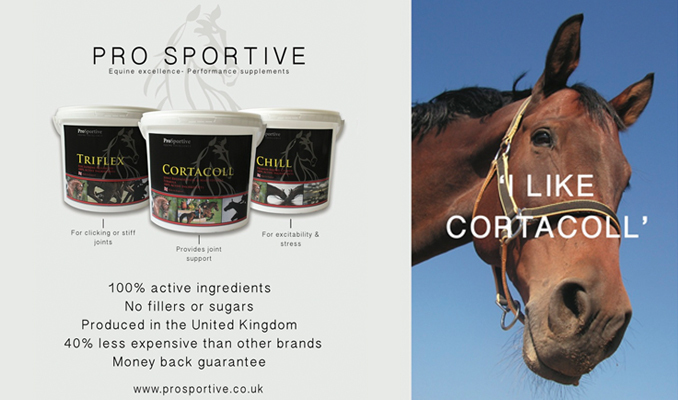 The new technology works seamlessly to provide a new level of performance footwear and the Rainline boot comes in a variety of colours. Grub’s Rainline boots also feature a removable 6mm Nitrocell™ footbed that adds further insulation and cushioning due to its microscopic closed cell nitrogen bubble structure, giving the wearer superior thermal protection from cold surfaces. The boots are shod with the Trax™ outsole which features the Hexzorb™ shock absorbing component giving superior grip and comfort on a variety of surfaces. The tread is designed to work with the action of the foot into zones for grip, traction, stability and braking. Grub’s Rainline Boots are available in Navy, Sage Green, Aubergine, Fiji Blue and Pink in UK sizes 4-13.